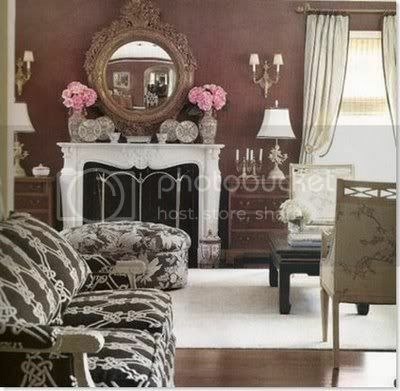 Painting a room chocolate brown or any other intense color adds the wow factor to your room. It is the easiest, most inexpensive and dramatic way to change the look and feel of any room. Plus, it doesn’t require commitment; you can always repaint. Face that fear of chocolate brown with style. If you are afraid to paint rooms chocolate brown, now is the time to face that fear. Dramatic color will likely add richness to your life. Paint is the least expensive, most dramatic way to change the appearance and feel of a room. Plus, paint is not a lifelong commitment, you can always repaint. How about chocolate brown? It is a delicious color that can set off your furniture and accessories like no pastel color is able to do and offers a myriad of accent colors to keep your interest. It also allows you to layer on the accessories. Walls don’t stand alone. 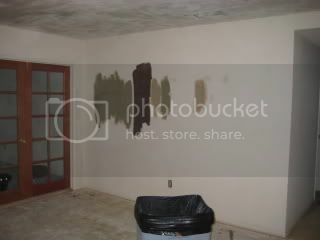 The colors used throughout the room are what make the wall color you select work well. Contrasting colors make a dramatic effect. For example, deep brown walls with lighter colored furniture, upholstery and accessories set each other off very well. The same goes for the window treatments. Don’t forget about the ceiling. If you’ve spent time and effort selecting paint, furniture and accessories, remember that the ceiling will add to the whole effect. Select a ceiling paint color that blends with the walls, usually a lighter version of the wall color works best. Here’s a professional interior design tip: the best way to select your wall color is to choose an area rug first. Then select a deep, rich color from the area rug to paint your walls. An area rug offers a palette of colors from which to draw for your entire room. Intense colors like chocolate brown add energy to a room, especially when combined with contrasting colors. Chocolate brown is beautifully complemented with many other colors from creamy whites to chartreuse, aqua blue and ochre. Accent colors add depth, interest and round out your color scheme. Using contrasting colors in accessories keeps the room from feeling heavy or closed-in. Plus, it is easy and inexpensive to change out accessories for a whole new look. For example, vases with different color flowers add instant color. Pillows with brown in the fabric pattern, window treatments with brown patterned fabric, lamps with brown in their shades or pedestals, a throw with hints of deep brown, pictures that include deep brown in them, or plates with various colors including brown. They will all set off the richness of the wall color. When shopping for paint color take advantage of the small containers of paint offered by many paint manufacturers and purchase several colors. Most cost around $3.00 each. Be brave, paint the color sample on your wall at home to make sure the color works well. No matter what the color samples look like at the store, the paint color will look different in your home, both during the day in natural light and different again during the night with artificial light. Paint stores will also mix up a specific color in small amounts; all you have to do is ask them. It is a general rule that dark colors make a large room look smaller and cozier, while light colors make smaller rooms look larger. This is not always true. For example, a small powder room with no windows for outside light, painted in a deep rich color is cozy, inviting and deliciously beautiful. A large room painted with intense color sets a mood of rich contentment, just what you may need at the end of a long, busy day. Accent walls offer a taste of intense color. Painting one wall chocolate brown is a perfect way to introduce rich color, adding interest and contrast to any room. Be sure to use that same chocolate brown in accessories, such as window treatments, pillows, picture frames, upholstery, or area rugs in the room. They will draw the color out and blend it all together. If painting your walls a deep rich color makes you worry that your walls will be dated, or that you’re not on-trend, consider what fashion designer Yves St. Laurent said, “Fashion fades, style is eternal.” It’s time to explore the deep colors available for your walls. 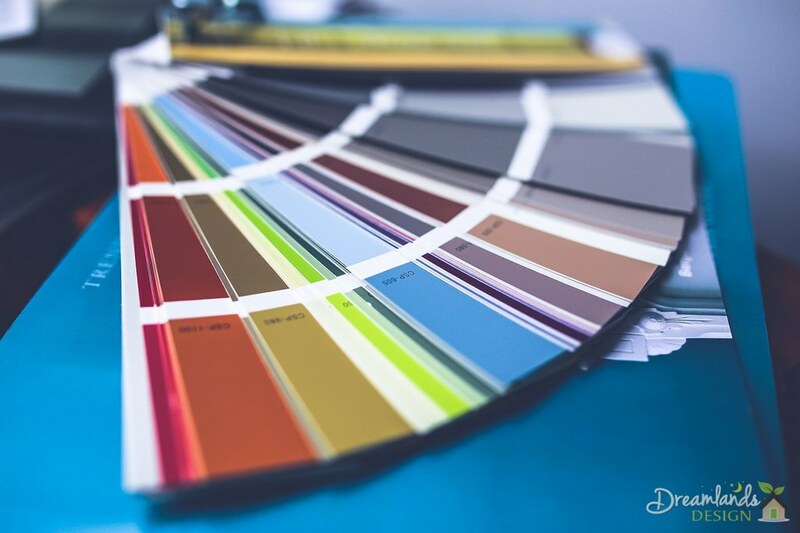 The internet is rife with images to explore, and paint stores are more than happy to sell you samples and give you advice including brochures to take home. Just one word intrigues people. Color. From deep red to rich chocolate brown, lime green to vibrant yellow, bringing color into your home instantly changes the look , fashion and energy. Getting the job done can be inexpensive and easy; this series will show and tell you how to do it.